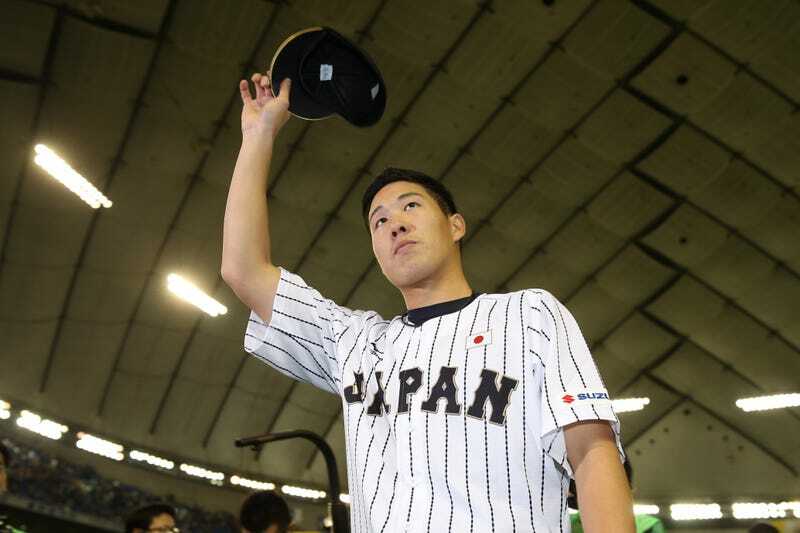 Major League Baseball is back to sending a team to Japan to play in a biennial exhibition series—after an eight year layoff because of the World Baseball Classic—and things aren't going too swell for the MLB All-Stars. They lost their first two games of the best-of-five series 2-0 and 8-4, and early this morning were no-hit in their third game. Samurai Japan (seriously, that's the team's nickname) won 4-0 as four different pitchers combined to strike out 13 while giving up a measly three walks. The loss means the MLB All-Stars have lost their first series against Samurai Japan since 1990, and only the second out of eleven overall. Being no-hit while losing the series may not have even been the worst part, especially not for the Seattle Mariners. In the top of the 7th inning, Robinson Canó's right foot was nailed by an 0-1 pitch, and he had to leave the game. According to MLB.com's Anthony DiComo's source, x-rays revealed a "non-displaced fracture" in his pinkie toe, which is expected to sideline Canó for three-to-four weeks. He should be ready for the start of spring training. Meanwhile, the series continues tomorrow at 4:00 a.m. (EST) in Tokyo, where the MLB All-Stars will throw Chris Capuano against the hard-throwing Shintaro Fujinami of the Hanshin Tigers. A win seems like too much to hope for, but maybe they can get a hit this time?